Sharing Stories Book Club/ Meet up! A chance to discuss books in a friendly group. For the last few months Arts & Minds have been promoting a book every month that has some link to mental health. In this special partnership with Leeds Book Club (that’s us!) we are encouraging everyone to come along and talk about the books. 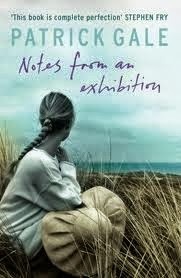 The book we are particularly focusing on is ‘Notes from an Exhibition’ by Patrick Gale. This novel tells the story of an artist with mental health issues and the family she leaves behind. So get reading and see you there! If you’re interested in finding out what we’ve made of our previous #SharingStories, check out the links below!